We are one of the distinguished School Uniform PC Fabric (40PC X 40PC) manufacturers in the domain. The fabric we offer is finely finished and is manufactured using high grade Polyester Cotton. All the raw material is sourced from trusted vendors so that optimum quality fabric is delivered to the clients. We offer an exclusive range of Poly Cotton Shirt Fabrics. The processing is done under stringent quality control process. 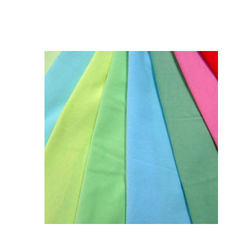 The fabrics are widely used in the textile industries with utmost confidence. As per the requirement of the customers, the fabrics are manufactured in different patterns. 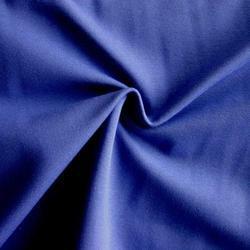 We are offering a world class collection of Polyester Cotton Pique Fabric. Owing to its light weigh, softness and smooth texture, these offered fabrics are widely used in the textile and apparel industry for designing various garments and other things. Moreover, these are accessible with us in different textures, patterns and colors to choose from. This Poly Cotton Shirting Fabric is suitable for making casual and formal shirts. We have highly acknowledged organization engaged in presenting a remarkable range of POLY COTTON FABRIC.